Integrate Amazon into your W3 iConnect Solution for timely order fulfillment, accurate product availability and real-time order status. 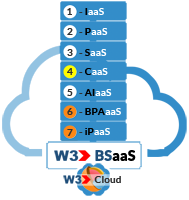 With W3 integration with Amazon is EASY. You can quickly and easily integrate your orders, product updates and customer information between Amazon and W3 without requiring additional development or IT support. Support for order de-duplication, order variance reporting, discounts, promotions, shipping methods, payment methods, bulk product uploads, matrix items, and kit items in NetSuite. Amazon.com, Inc., doing business as Amazon, is an American electronic commerce and cloud computing company based in Seattle, Washington, that was founded by Jeff Bezos on July 5, 1994. The tech giant is the largest Internet retailer in the world as measured by revenue and market capitalization, and second largest after Alibaba Group in terms of total sales. The Amazon.com website started as an online bookstore and later diversified to sell video downloads/streaming, MP3 downloads/streaming, audiobook downloads/streaming, software, video games, electronics, apparel, furniture, food, toys, and jewelry.